You must make reservations at least 5 minutes in advance of the time at Doc B’s Restaurant + Bar - River North. Let us cater your next business lunch, meeting or event! Visit our website to see a full catering menu or give us a call at the store. Set in a comfortable and inviting atmosphere, Doc B's Restaurant + Bar serves food made from scratch daily. 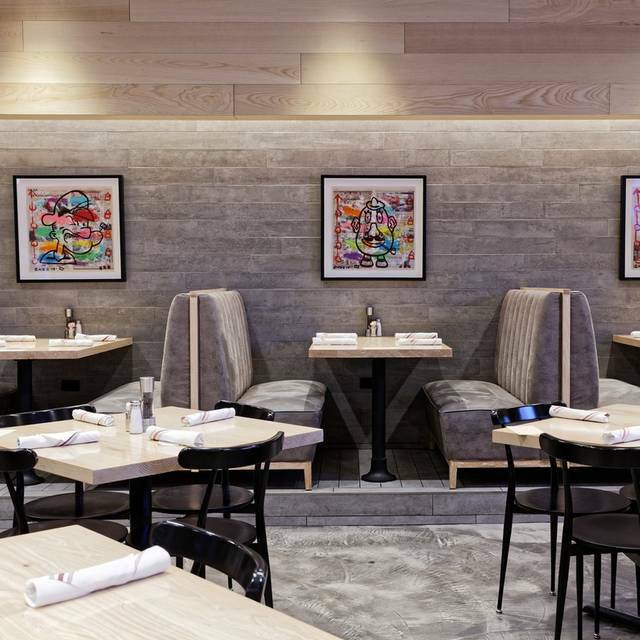 Incorporating the highest-quality ingredients, the menu includes a variety of entree-sized salads,"very special” entrees, crave-worthy burgers and sandwiches, signature Wok Out Bowls™, indulgent desserts and so much more. Doc B’s also impresses with an extensive craft beer, wine and spirits selection in addition to signature cocktails. No matter what occasion, the expansive menu truly offers something for everyone. With each location having its own personality, Doc B’s Chicago (River North) is located next to Nordstrom on the corner of Grand and Wabash and offers an expanded selection of house cocktails as well as a weekday happy hour. Amazing food! Full of flavor and unique combinations. Excellent food, wonderful service, and busy, yet friendly atmosphere. Service is fantastic. We enjoyed the food more than much more expensive places. They seemed to a big delivery business too. Great food in a neighborhood filled with big Italian and steak houses. Our trip to Doc B's was exactly as we'd hoped. Back corner booth, attentive but quiet wait staff, delicious food. We initially had reservations at Eddie V's but didn't want to get all dressed up and spend $200 for dinner. Doc B's has different environment, different food and different service, so I'm not comparing. Just thought I'd mention it. We'd definitely recommend. Great lunch with drinks on a busy day. Thank you for a great experience. Raven was amazing and made the perfect suggestions for al of us. The fresh made guacamole was outstanding as well as all the other dishes we enjoyed. Everyone we interacted with at the restaurant was joyful! The service was great. We sat at the bar and ate and the bartenders were super friendly! Both of my daughters said it was the best burger they EVER ate. My salmon wok out bowl was delicious. I love the #1 Tuna Salad!! One of our go to restaurants in Chicago anytime we’re visiting our son! Always great food & experience! The “beet”Le juice was amazing!!! I was also blown away by the “wok out” bowl, the noodles were not greasy! Wonderful balance of vegetables and protein. Service was amazing, we had the sweetest and kind person checking in to see if we were ok. All of the service that we interacted with were extremely friendly, and it was a Monday! Will definitely return when I visit again, it’s so worth it. Great place & our server was from our hometown of Michigan. Sierra you were Awesome! I was very dissapointed in my burger. I wouldn’t go back. I was intrigued by the great reviews online. Definitely not worth the hype. 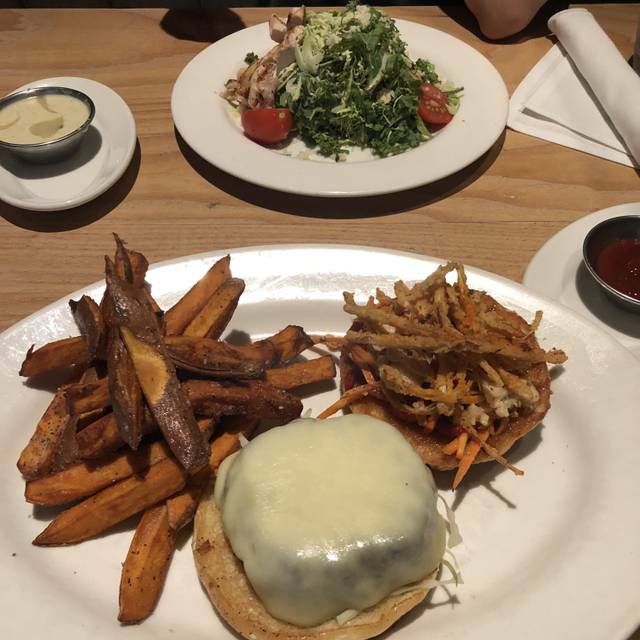 It is always definitely great food . The alcohol and prices for glasses of wine were very pricey. My husband and I were in town and saw this near our hotel. What a great experience. We started with Guac and it was a huge appetizer. He had the WOK bowl and loved it. I had a special that was also very good. The service was wonderful. We would for sure go back! Food is consistently amazing. Wide range of food. Love it! We found this on Open Table just visiting Chicago. 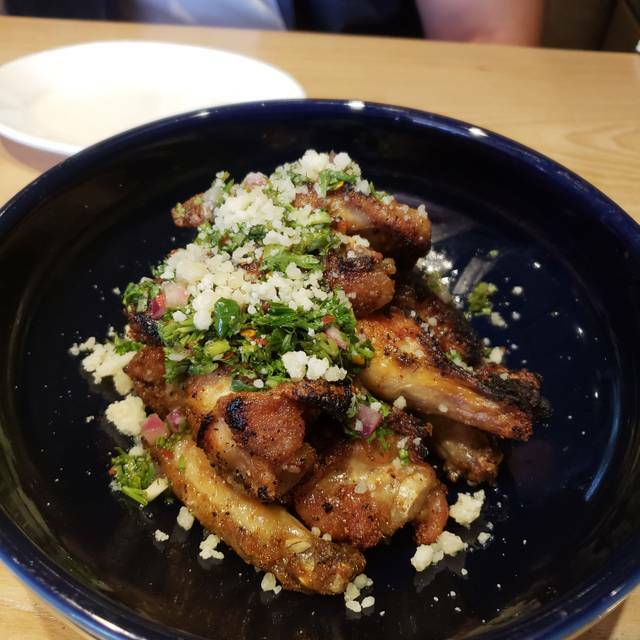 The roasted wings on the starter menu was a true winner. Chef even shared his ingredients. Great place for date night and for families. Great variety. Everything was pleasing. Service is stellar! My husband and I were visiting Chicago with our two young kids. We had a great experience all around! There was enough ambient noise that our kids didn’t disturb anyone, the staff didn’t bat an eye when our 1 year old son accidentally spilled his milk, the food was amazing, and the service was superb. It is definitely someplace we’d visit again- too bad we don’t live closer! What a fantastic experience! 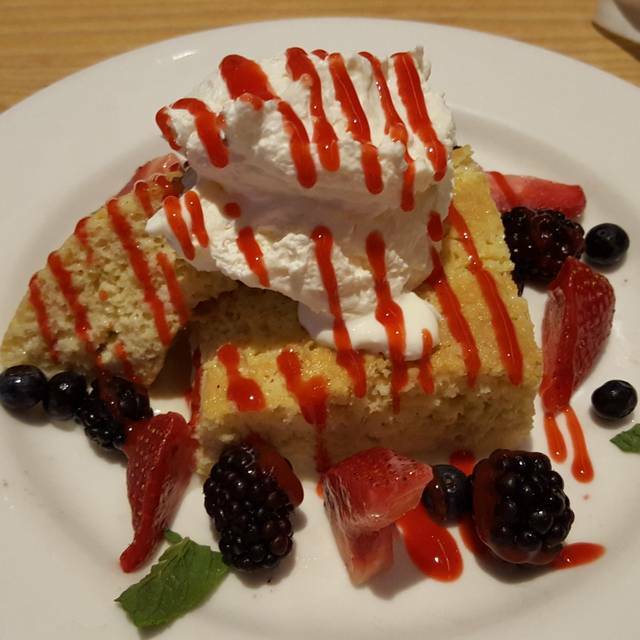 The food was heavenly, the restaurant was cozy and comfortable, the service excellent. Reasonably priced, this place is a terrific date- night location. We love doc b’s, knife and fork salad!! Visiting Chicago and found this restaurant / bar through OpenTable. The dining area was modern, service was amazing every single person I interacted with was helpful courteous and professional. This includes my main waitress Sierra. 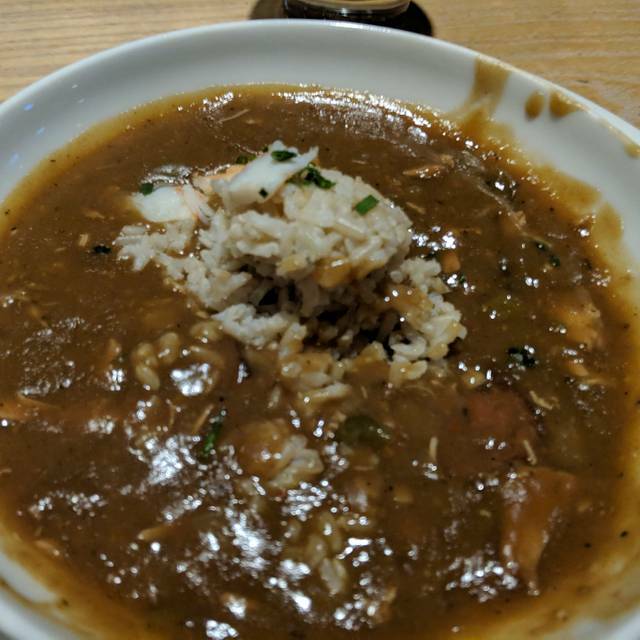 I started out with the gumbo which was for a Chicago eatery out of this world. The roux was done well with just amount of spice excellent seafood and true andouille sausage. 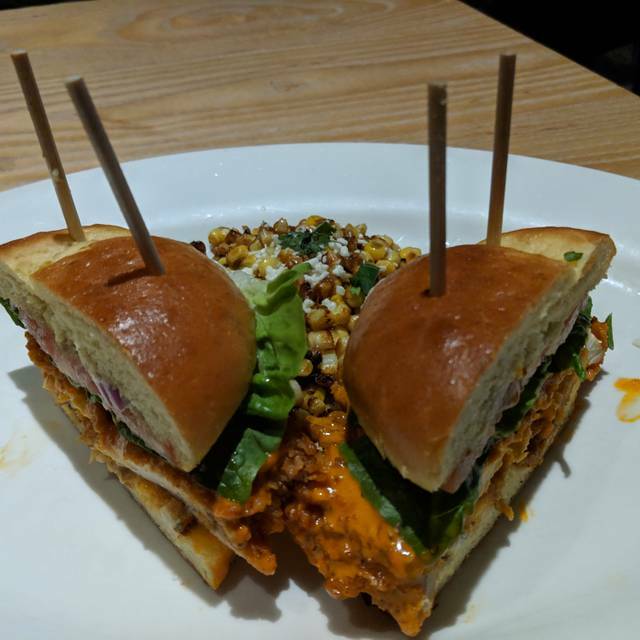 I've decided to go for the special that night of the Buffalo chicken sandwich. It was very tasty but needed extra blue cheese sauce for dipping which they brought out to me. I had the elote as my side and it was also amazing. I thought very reasonably priced for downtown Chicago. If I was staying in town again this is one of the places I would go. Good food and service. Nothing truly outstanding but reliable. Food was awesome! Happy hour specials aren’t an awesome deal, but would still recommend. Nice simple food. They were very willing to substitute. My steak frite became stake with vegetable special. My husband had a filet with vegetable instead of a baked potato. The server was attentive. The salad was great. The grilled chicken was made to perfection! Food was great! Service excellent!! Always a delicious meal and the service was fabulous! Best go to dinner or for any meal! If you haven’t been, it is a must go to! The salmon is melt in your mouth good. Great food! We had kale and artichoke dip and I ate the steak sandwich for dinner. Beer selection was on. Everything was delicious and our waitress was very helpful. Even locals enjoy some touristy stuff sometimes - the SNL Experience and a chain restaurant among the budget hotels. My wife was in the mood for a burger, and Doc B's is about 2 blocks from the SNL exhibit. 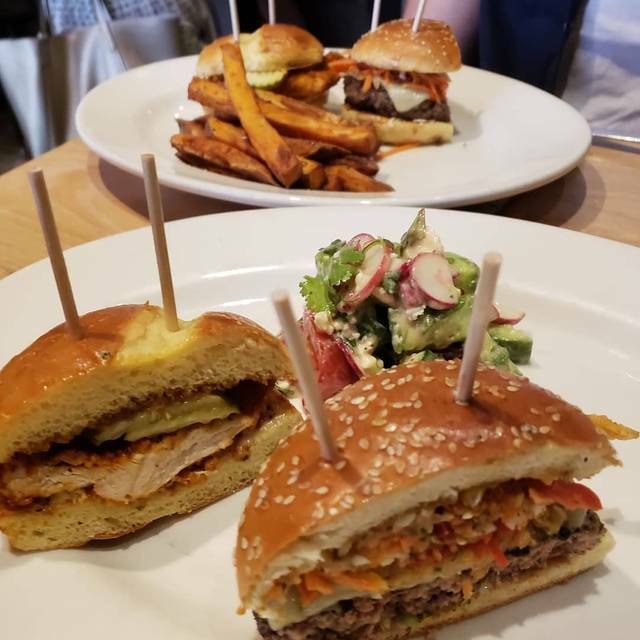 The burgers were terrific, the crispy potatoes were outstanding, and our server was friendly, attentive, and helpful. Great loved it we will go back.